Daniel Hildreth spoke of his pride after Sussex Storm Basketball Club under-16 finished runners-up in the National Cup. A Manchester squad brimming with talent proved too strong for Storm as they were beaten 75-57 in a tough final. 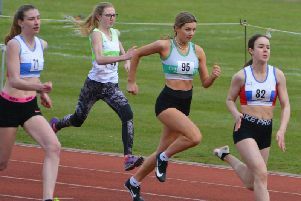 Storm, who reached a first national final under their new name, produced some superb results before they were beaten at the final hurdle. Former Worthing Thunder head coach, whose now in charge of Sussex Storm under-16’s, was impressed by their efforts in the national competition and said: “Obviously it wasn’t the result we wanted. Manchester played a very good and we simply could not put the ball in the basket. Storm’s focus is now on making the Premier League South play-offs.